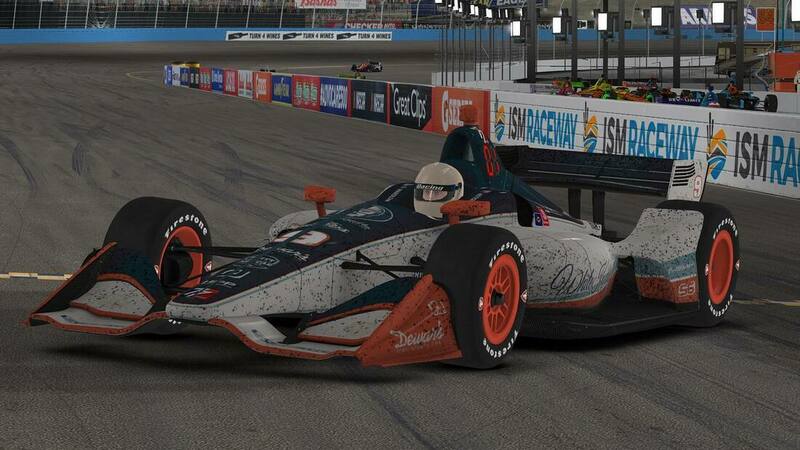 Dustin Wardlow used pit strategy to get to the front of the pack, and then pulled away over the final 40 laps to capture his first career oval victory in the Lionheart IndyCar Series presented by First Medical Equipment Wednesday night at ISM Raceway. It marked the fourth different winner in as many races to start the 2019 season. Wardlow beat Sage Karam to the line by just over a half-second after conserving fuel on the final lap, but the win was never in doubt. The Thumbs Up, Cancer Down 200 started auspiciously, with Jason Galvin spinning in turn one in the title sponsors car, and a total of eleven cautions slowed the race, but a long green flag run at the end led to fuel mileage playing a factor, something Wardlow was prepared for. Karam led 39 laps early in the event and had to settle for second. Defending champion Adam Blocker extended his points lead with a come-from-behind third. The final caution came on lap 141 when James Brant lost control exiting turn four, taking Dan Geren and Bart Workman out as well. The wreck led to pit stops and a tight run to the finish. Joe Hassert and Chris Lanini, both running in the top five, had to pit in the closing laps for fuel, but the leaders were able to find an extra two miles and make it to the end. Several top contenders were eliminated in early wrecks. Galvin - with two career second place finishes at Phoenix - didn’t make it past turn one, taking Justin Weaver and Kentucky winner Scott Johnson with him. James Krahula led 42 laps before spinning on his own in turn four, catching the pit wall and ending his night. Brian Yaczik and Ken Hacker made contact - perhaps aided by net code - sending the defending race winner on a wild ride through the dog leg. When the dust settled, 20 cars were running, with 14 on the lead lap and several banged up. As a result, Blocker’s lead sits at 39 over Wardlow. Geren fell to third, five points back of his Synergy Motorsports teammate. The Lionheart IndyCar Series presented by First Medical Equipment now returns to the superspeedway ranks for its first Triple Crown event of the season. The iRacing iFlag 300 presented by Fat Dog Racing at Pocono Speedway can be seen live on the iRacing eSports Network at 7:35 p.m. EST Wednesday, April 24. Global SimRacing Channel will handle the broadcast per the usual.